Planning to achieve 100 percent RPS is a complex and iterative process. Understanding the economic, environmental and energy security impacts of the key decision points in various planning scenarios is essential for decision makers to have a complete picture of the energy landscape proposed in each scenario. 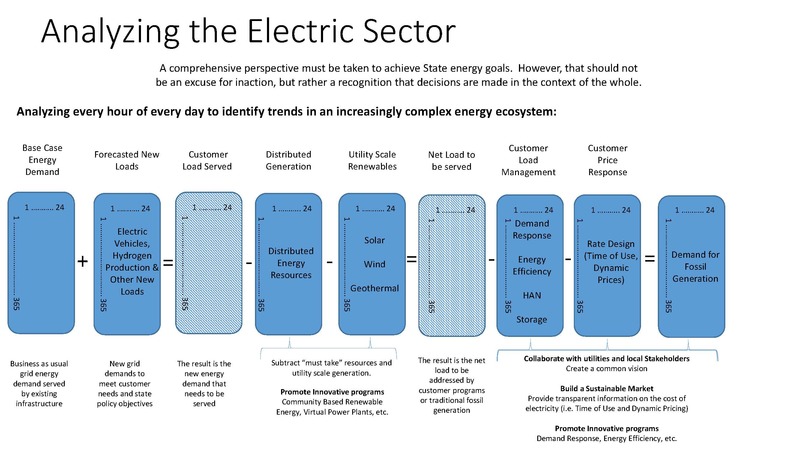 With the issues in the energy sector becoming increasingly complicated, interdependent across energy consuming sectors, and impactful to customers, it is critical that stakeholders are engaged and informed on the impacts of significant decisions that must be made to transform the energy sector. Modeling the energy sector (integrated utility grids, pipelines, fuels, and infrastructure) allows energy analysts to understand how renewable energy penetration, energy efficiency measures, electricity demand and consumption, distributed energy resources, demand response programs, and electricity generation interrelate to create Hawaii’s complex energy ecosystem and diversification of Hawaii’s energy mix. HSEO utilizes this modeling in support of efforts in devising and deploying statewide clean energy plans, policies, and strategies for reducing petroleum use in the transportation sector, increasing renewable penetration at lower costs to ratepayers, and ensuring energy security. The Energy Systems and Planning Branch is developing tools to assist planners, decision-makers, and other stakeholders in better understanding the relationships, trade-offs, and impacts of policies, regulations, or decisions made in the energy and other related sectors. One such tool was developed through a U.S. Department of Energy competitive grant to demonstrate visualization. The project, Hawaii Advanced Visualization Environment Nexus (HAVEN), displays utility resource planning data so that users can easily compare plans and their impacts across a variety of relevant indicators. Another tool that ESP is developing in collaboration with the National Renewable Energy Laboratory (NREL) is a modelling tool that allows users to make quick operational and planning model runs to validate, explore, and compare existing energy resource plans as well as create scenarios with sensitivities built around selected variables. 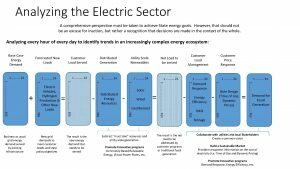 This tool, Hawaii Energy Visualization Initiative (HEVI), will use hourly data to model the electric sector with the vision of incorporating other related sectors to model the energy ecosystem in Hawaii. Chris is the Energy Systems and Planning Program Manager for the Hawaii State Energy Office. The Energy Systems and Planning branch is responsible for the design and implementation of the state’s comprehensive energy ecosystem and energy assurance plans related to Hawaii’s integrated utility grids, pipelines, fuels, and infrastructure.